Macquarie: "We No Longer Live In Conventional Capitalism; There Are No Recognizable Cycles"
As in ‘Jaws’, the question is whether it is safe to go back into water? A number of positive signals (China, Italy etc) are tempting investors back. However, liquidity continues to drain and reflationary momentum is still weakening. It might all ‘turn on a dime’ but risks into ’19 remain high. ‘Well this is not a boat accident! It wasn’t any propeller! It wasn’t any coral reef! And it wasn’t Jack the Ripper! It was a shark!’ As in ‘Jaws’, investors are now trying to assess whether there are sharks out there in the dark waters ahead, and what signals should they watch? 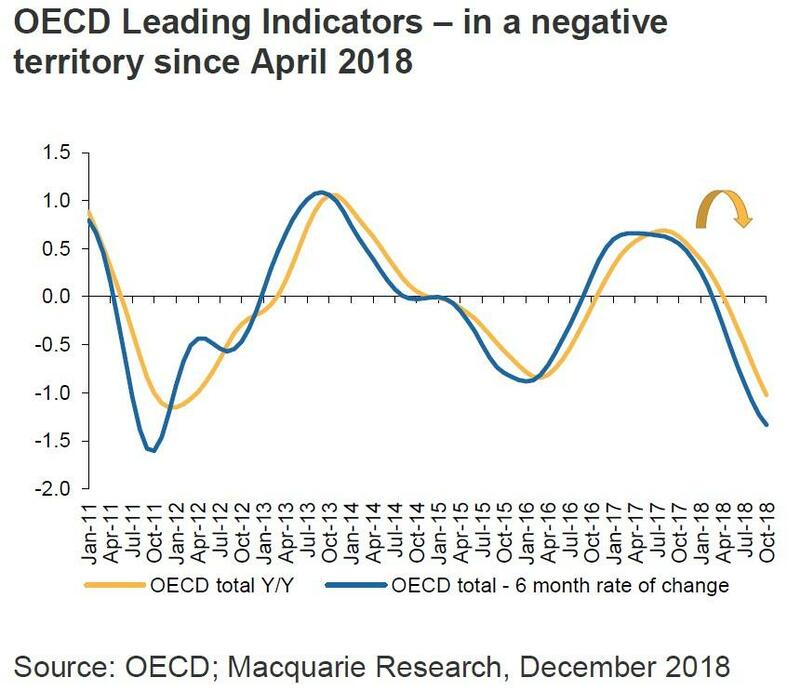 Is it trade, politics, CBs, extraditions, retaliations, fiscal stimuli, spreads, private equity (arguably the single most overvalued and least liquid asset class), FX, oil or other uncertainties that could sink the boat? Who is selling and what does it mean? As we saw in ‘97-98 or ‘08-09, trying to anticipate whether it would be Russia, LTCM, subprime or Lehman’s PN business that would change everything is a fruitless exercise. We will know when we do. The value of a single signal by itself is limited, and the headlines that ‘we have just discovered the signal’ are not worth much. Having said that, there is an underlying ‘heart beat’ that tells investors whether the general direction is towards a greater disinflation or reflation. In a world dominated by asset prices, there is a need to generate more liquidity and debt than economies require. We no longer live in a conventional capitalism; there are no recognizable cycles, and late cycle arguments mean little, when public sectors determine their duration and strength. In a modern economy, it is all about tax cuts, fiscal stimuli and manipulation of yield curves & rates. 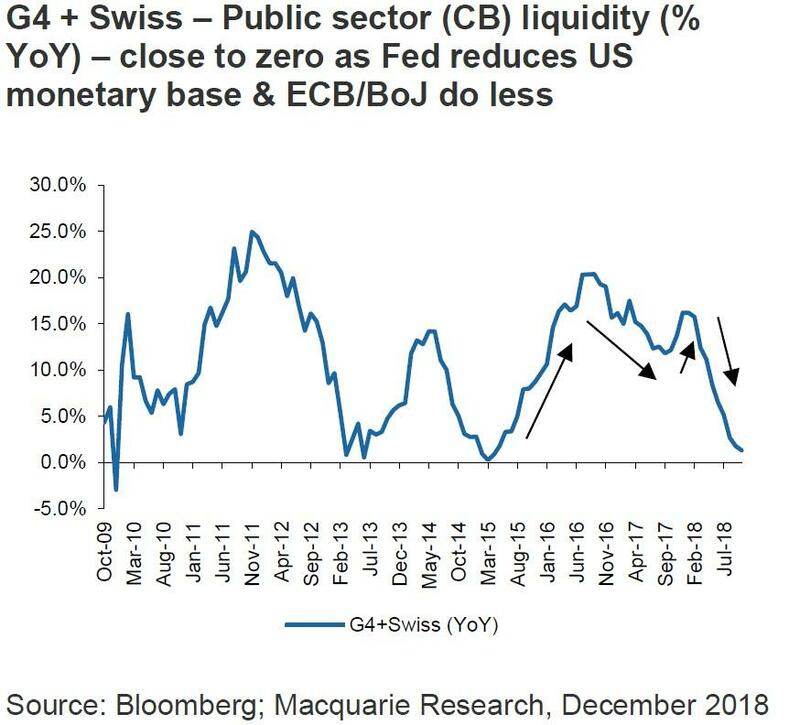 Indeed it makes sense, as generating excess liquidity & corralling volatilities is the only way to guide highly financialized economies. It does however lead to a Matrix world of random signals, turning what only days ago seemed solid into liquid. This brings us to the latest ‘signals’. First, we had Powell changing tune in space of less than eight weeks from ‘far from neutral’ to ‘just below neutral’, altering expectations of a tightening cycle, and pushing US$ lower. Second, we had a plethora of news regarding the trade war. China apparently agreed to buy a bit more US soybeans (~0.5m tons) and is willing to re-phrase and underemphasize its ‘China 2025 policy’. Third, it appears that the Italian populist Government is folding on its budget spending. It is enough to reflate sentiment and markets by lowering probabilities of more extreme outcomes. Unless economies evolve in strongly positive or negative ways, it is this flow of random signals that drives markets, which in turn impacts economies in a complex and iterative process. However, at the end of the day, unless CBs reverse their contractionary stance, global liquidity would continue to drain, and unless China and US alter their policies, global reflationary momentum would weaken. The world cannot function unless China and the US see ‘eye to eye’ and Eurozone avoids implosion. It is possible that we might find a middle ground, but it would require a miracle; at least in the absence of a greater dislocation. We maintain that while China would like to find a compromise, it can never give up its state-driven model and EU is still facing a revolution in ’19. There are also uncertainties of a divided Congress that could either lower or raise US$ (depending on whether US accepts slower growth or stimulates). Despite recent relief, direction remains disinflationary; the coast is not clear.